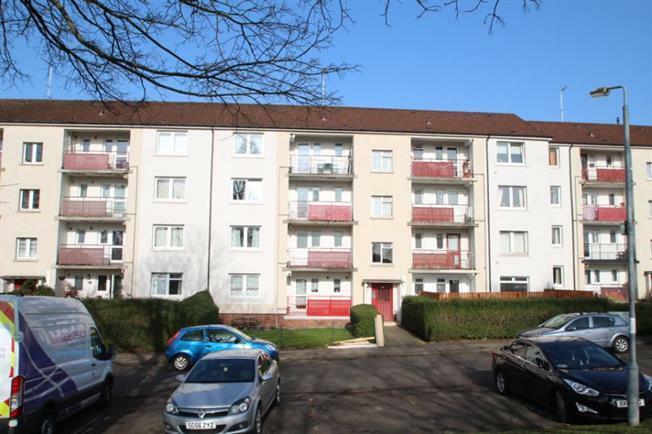 3 Bedroom Upper Floor Flat For Sale in Glasgow for Offers Over £75,000. Internal viewing is highly recommended to appreciate this very well presented and maintained 3 bedroom flat which offers well proportioned accommodation and set within an attractive position. This lovely home benefits from an open outlook onto a common green area. Accommodation comprises: Security access to close. Entrance hall. Lounge with open outlook. Kitchen with door access to balcony. 3 bedrooms. Bathroom. Attractive communal gardens. All-in-all this is an excellent property which will be of immediate interest to a number of buyer types.